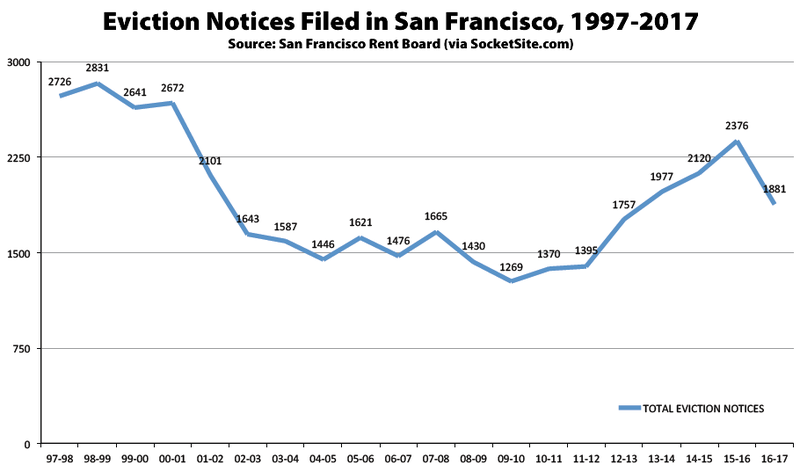 An aggregation of the Rent Board’s last twenty years of annual reporting, from March of 1997 to February 2017, provides a broader perspective with respect to eviction notice trends in San Francisco. 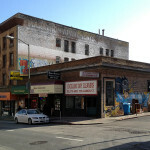 While notices specifically related to Owner Move-In and Ellis Act evictions had been trending up in the city since early 2009, they have been trending down over the past two years. And relative to a peak at the end of the dot-com bubble, from the late 1990s into early 2000, there’s really no comparison. 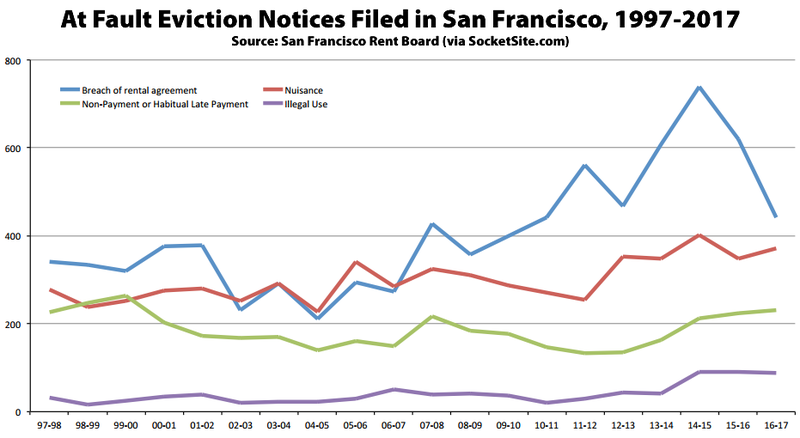 And in terms of noticing trends for just cause evictions in San Francisco, while evictions notices based on technical breaches are down, evictions for habitual late or non-payment of rent have been ticking up and hit a 17-year high over the past twelve months. 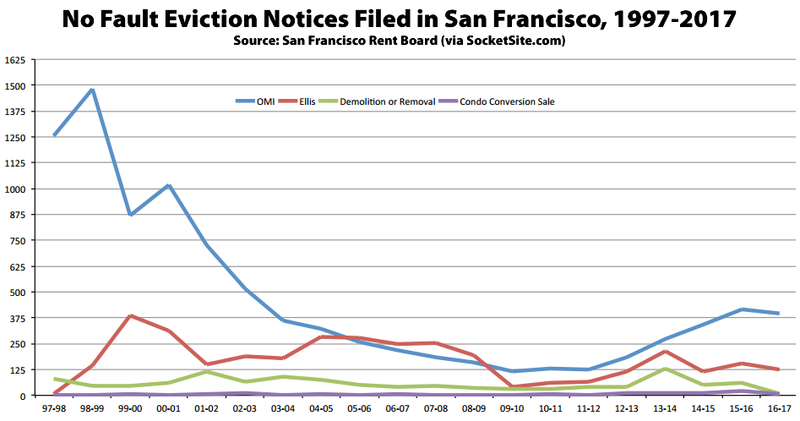 Keep in mind that San Francisco’s Rent Ordinance doesn’t requires landlords to file three-day notices to pay rent or vacate, and as such they’re under-reported in the aggregate above.